A secret MI5 report that resulted in the RUC (now PSNI) police protecting its agents and informers regardless of their role in the conflict has been made public after 38 years. 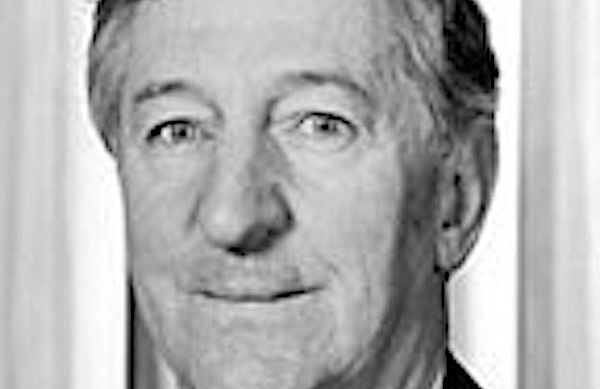 The author of the report, Patrick Walker (pictured), was a former colonial administrator in Uganda. He went on to become head of ‘counter-terrorism’ at MI5 and served as the head of MI5 between 1987 and 1992. He was knighted in 1992. The Committee for the Administration of Justice (CAJ), a Belfast-based human rights organisation, is understood to have obtained a copy under the Freedom of Information Act after going before an information tribunal. Walker’s report in 1980 resulted in Crown force police being ordered never to arrest a loyalist or republican without consulting Special Branch (police intelligence). Detectives were told that anyone who was arrested could be recruited as a British agent. As a consequence, a number of loyalists were given free reign to kill Catholics to terrorise the nationalist population into submission, while IRA informers such as ‘Stake Knife’ were allowed to kill genuine republicans. The Walker report, named after the senior MI5 officer who drafted it, was commissioned in January 1980 at the height of the conflict, shortly after the IRA killed 18 British soldiers in a single attack. British Prime Minister Margaret Thatcher was said to fear the IRA was gaining the upper hand. Walker’s strategy brought scores of killers into the pay and protection of Special Branch. “All proposals to effect arrests, other than those arising directly out of an incident, must be cleared with SB [Special Branch] to ensure that no agents, either RUC or army, are involved,” he wrote. “If an individual has made an admission and the CID [Criminal Investigation Department] officer considers he may have intelligence of value to give, SB should be allowed to question the individual on more general matters. It is important that CID should not proceed immediately to a charge whenever an admission has been obtained. After the implementation of the Walker report, a number of loyalists and republicans became widely known as “protected species”. One such man was Gary Haggarty, who was jailed for six-and-a-half years last January after admitting to over 500 crimes including five murders, five conspiracies to murder and others. Haggarty had been a Special Branch double agent with the loyalist Ulster Volunteer Force. A controversial cover-up is continuing in the case of Freddie Scappaticci, who has been accused of being ‘StakeKnife’, an agent for the British Army within the IRA’s internal security unit, who executed a number of genuine republicans as informers. Official inquiries into the murder of the Belfast defence lawyer Pat Finucane in 1989 have found that Brian Nelson, the man who targeted Finucane and handed information about him to his loyalist killers, was also an agent in the pay of the British Army, as were others in the murder gang. The inquiries found that Walker did not wish to see Nelson prosecuted, telling the attorney general that he was concerned that it would damage the morale of agents. The 1982 report of John Stalker, who investigated ‘shoot-to-kill’ (political executions) found crime detectives were told the cases were “out of bounds” to CID. Stalker was not told about the Walker report, but he guessed at “high-level endorsement” of killer agents. News of the release of the report today is extraordinary -- it came as it was announced by the Fine Gael government in Dublin that it is appointing PSNI Assistant Chief Constable Drew Harris, a former head of Special Branch, as Commissioner of the 26 County police.